I'm at the end of my Ancient China unit. It ended up taking a lot longer than planned. I probably spent 3 weeks covering it when I should have only spent about a week and a half. However, with the Christmas break and other things going on it took much longer to get through all I wanted to. Getting students interested in China. I started with teaching students a very basic Chinese phrases. They learned how to say "hello," "how are you," "thanks," "please," and "thank you." I also gave them a chance to practice calligraphy and write some Chinese characters. 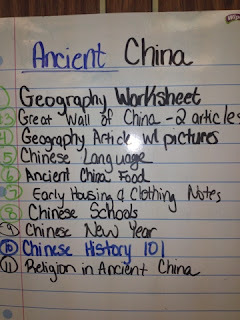 We talked about the food in ancient China and how the housing they had then compared to the housing we have in America. The structure of my lessons. 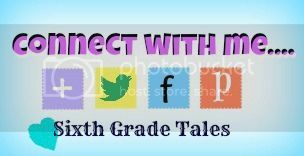 I have been starting each Social Studies class by watching CNN Student News, followed by a journal prompt. My students generally enjoy watching the news and it gets them quiet and focused for the lesson. After the news I started by teaching the content with a powerpoint, notes or an article. I usually like to do more student directed learning but with all the dynasties and vocabulary in China, I found it better to teach and then let them do some sort of activity. 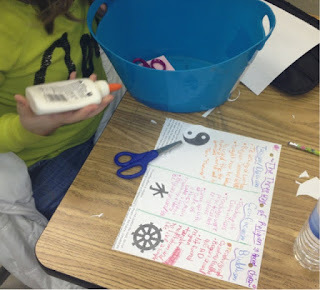 Integrating inferencing skills. 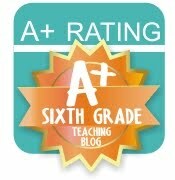 I am trying to push my students to infer rather than think on the surface. One way I did this was by teaching about different Chinese philosophers and then having my kids try to figure out which quote each philosopher said. My students thought they were playing a game so they actually enjoyed trying to make educated guesses. My knowledge on Ancient China. I need to study more on how to pronounce all the dynasties and terms used. I also was learning along with them so hopefully next year I will have more time to study before teaching the content. Too much content, too little review. I taught my students A LOT of vocabulary and events that took place in Ancient China. I taught them so much that it became hard to find time to review what we had previously talked about. Next time I need to teach only what is in the curriculum guide.